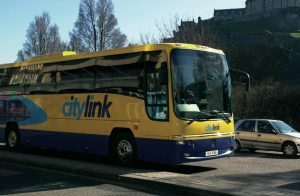 Scottish Citylink offers a full timetable of regular coaches up to Oban from Glasgow. Running daily this is a comfortable and economic way to visit Oban. The coaches stop in Oban town Centre making this a very convenient option. Citylink also offers other destinations and it is advisable to book a ticket ahead of time. Booking may be completed online or over the phone.